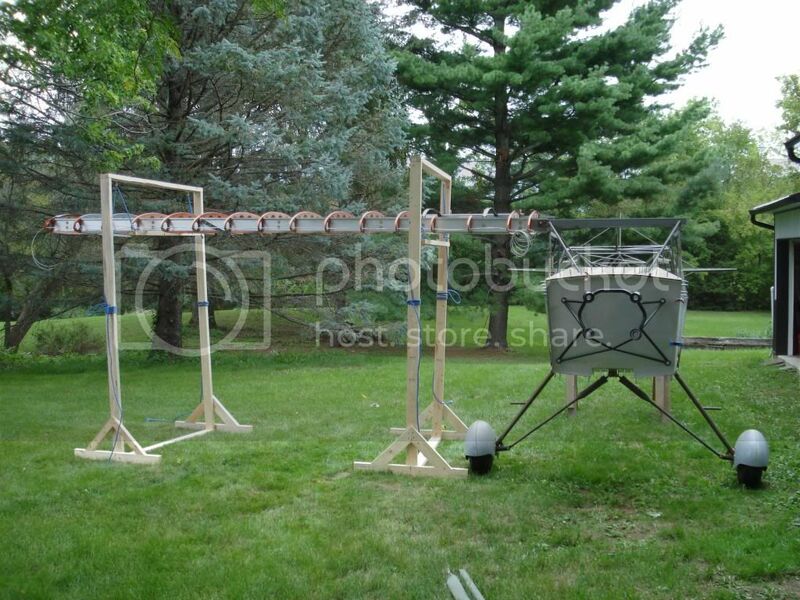 My name is David Staffeldt and I've been storing my project longer than building, but it's time to finish it. 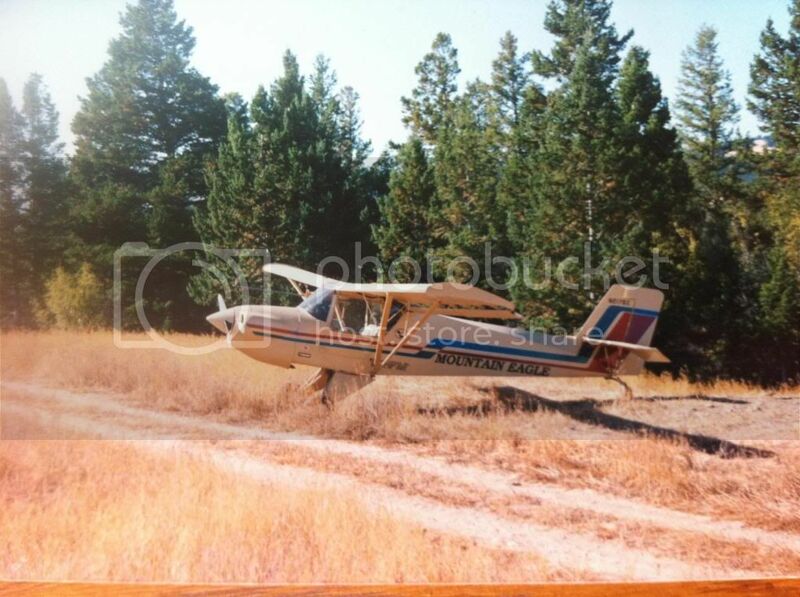 I have a kit built by Montana Coyote, Inc. called a Mountain Eagle. It is essentially a 33% upscale of the Avid designed aircraft. It can use up to a 200 hp engine and has a gross weight of 2000 lbs. I plan to post some pictures of it from opening the crate up to where it is now with the changes that were done and the why they were done. Hope that it interests some of you. Sounds like a capable design, I'd like to see it. What part of MT are you in, particularly great state this time of year. I'll be glad to share some photos of the build and some of the changes that I've done. I'm an A&P/IA so I'm not doing a formal builders log other than taking some photos as I build. 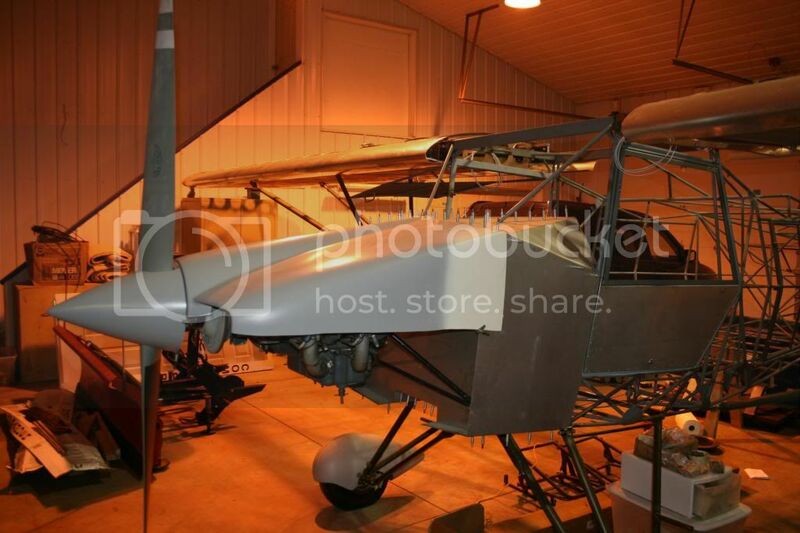 Here's a photo of a Mountain Eagle that was completed by the factory and subsequently damaged beyond economical repair on a demonstration flight. 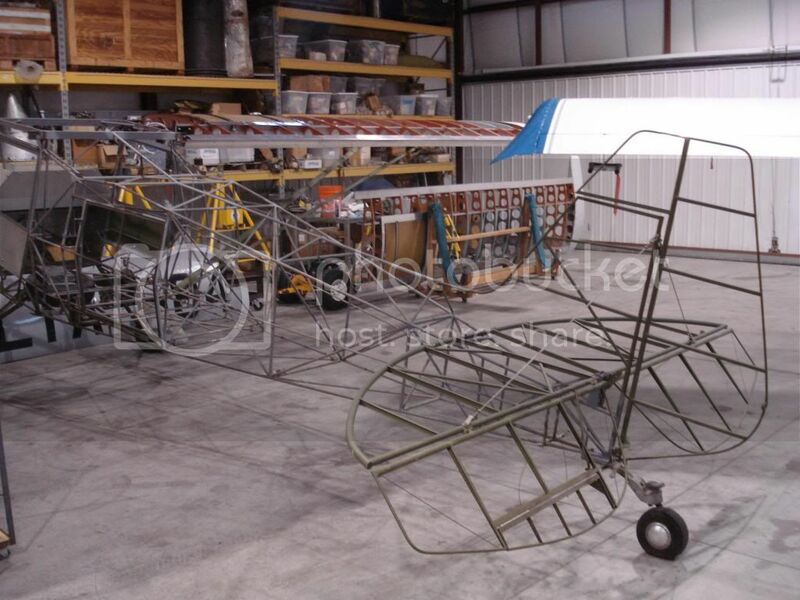 There are a few items that needed to be addressed to make this airplane a really good machine. Most everyone who is building one has done some modifications. I chose to change a few other items for cosmetic reasons and will detail those in future posts. Time for some construction photos. This airplane originally had wings that were identical to an Avid but longer with each being 16 feet long. There was another company (D&E Aircraft) that developed a wing kit that included a new Ribblett airfoil and conventional construction. 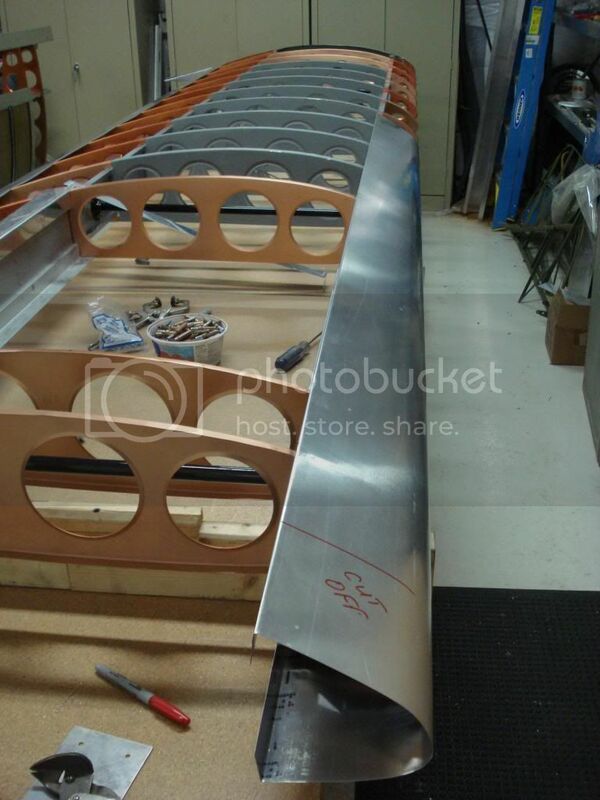 No drooped flaps or ailerons and I-beam spars instead of ribs glued to round aluminum tubing. 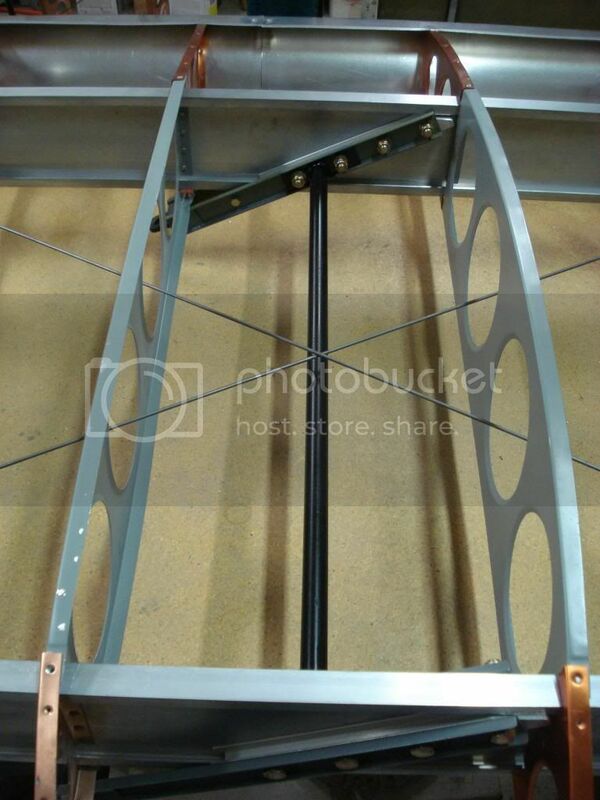 I was able to find a wing kit that was started by a builder and then he decided to part out his project. I bought the wing kit and proceded to rebuild it with new spars and some new ribs that were damaged in shipping. On to the pictures. 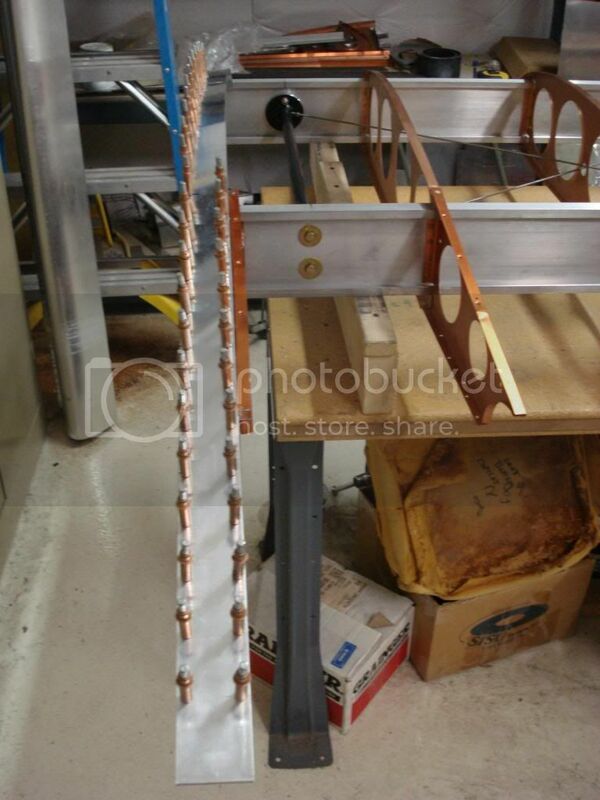 Ribs installed, drag and anti-drag wires tensioned, wiring installed. 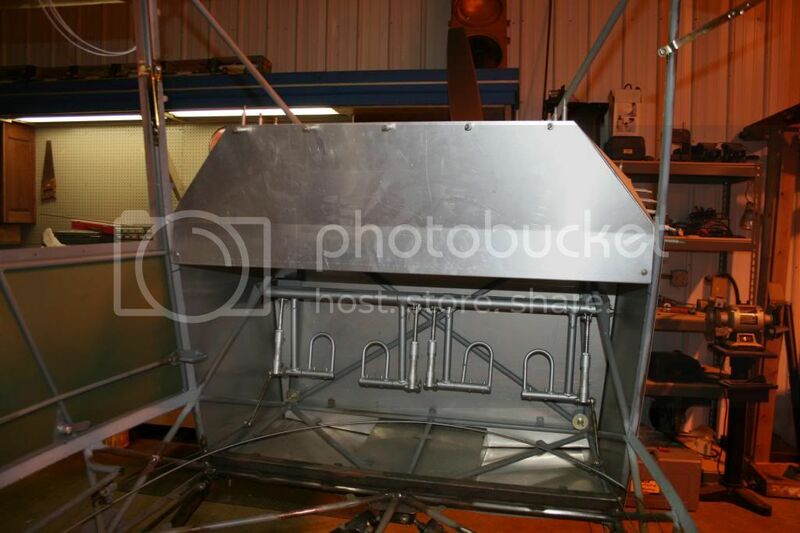 Flap and aileron coving and fuel tank surround. 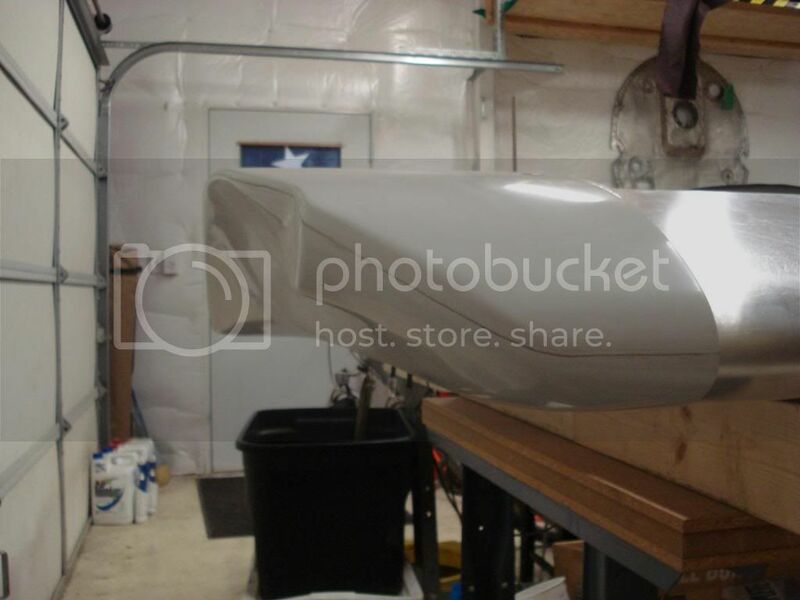 Fuel tank surround sheetmetal installation. Time to get back to work on this project. My goal is to finish it next year and fly off the 40 hours. After that is done, I'll be putting it on the market to sell as I can't justify a hangar for 2 airplanes. More pictures of the build coming tomorrow. 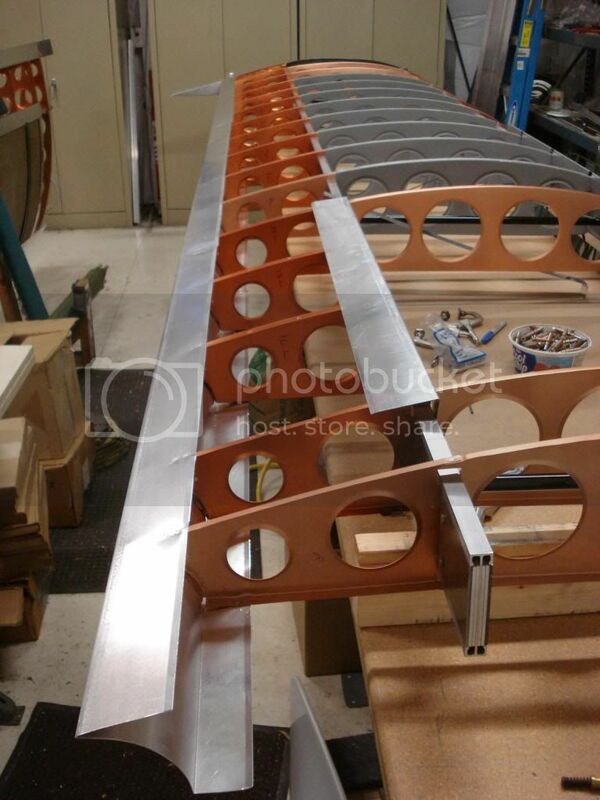 More pictures of the wing build. 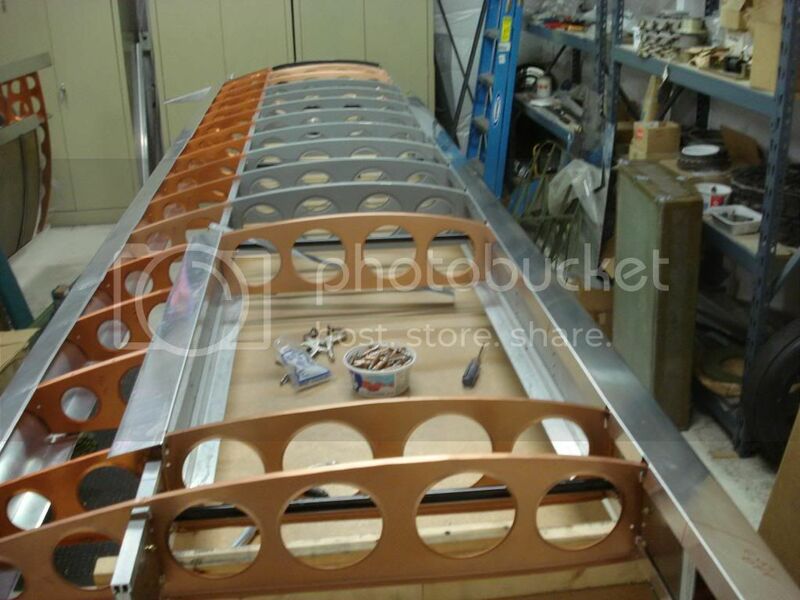 Here's a picture of the wingtip structure being built up. 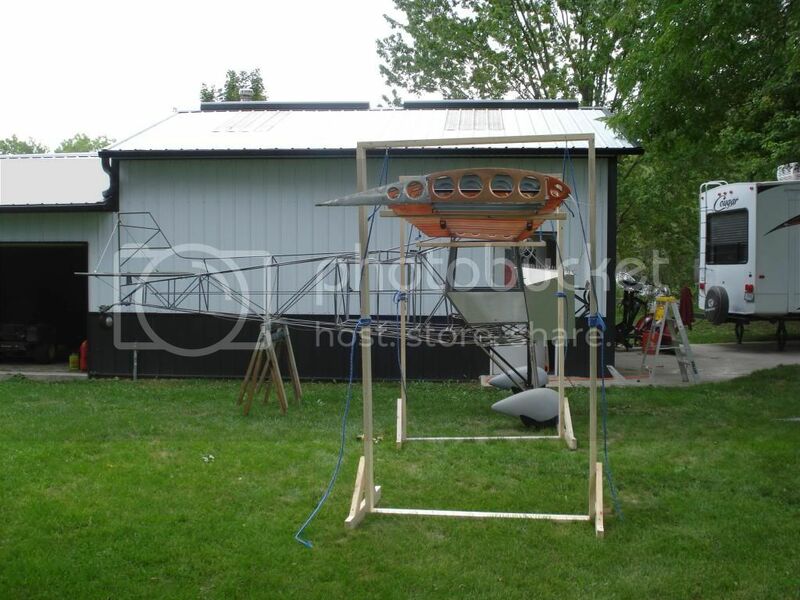 Another of the wingtip structure. Another view of the wingtip installation. I'm much further along in the build and will try to catch up to the current condition of my project over the next couple of weeks. 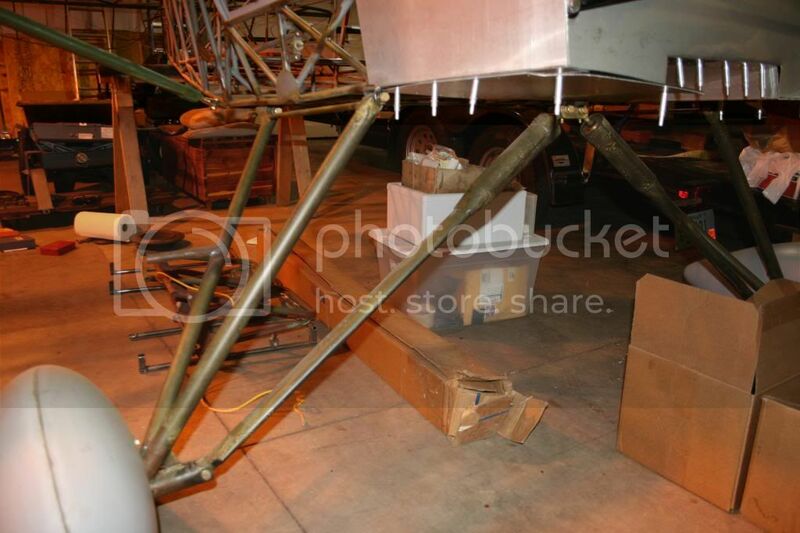 I'll also plan to cover the gear and tail modifications that were done and what we changed. 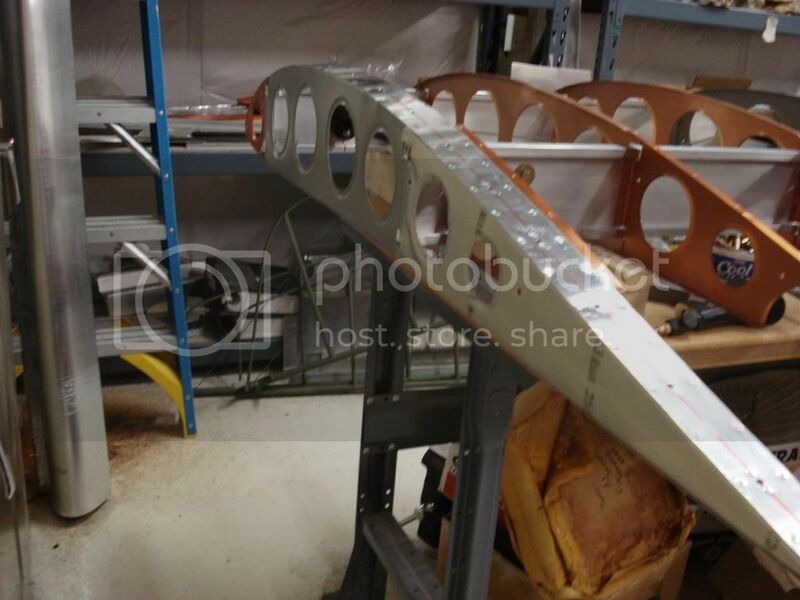 I have just noticed your project, I knew about the Coyote from my research on the history of the avid, Do you still have the original Wing Kit, I or someothers I know would be interested in buying it if you do? I sold my wings to a friend of mine who has 2 Coyote kits. He has another set of wings that I'm sure would be available for sale. I'll check with him and get back with you. On to some more pictures of the project. Compression strut between the lift strut attach fittings. 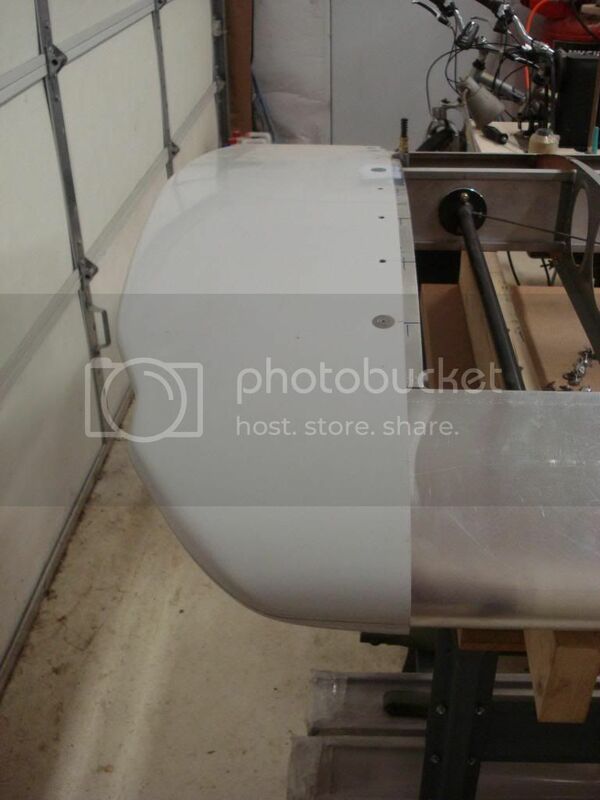 Fitting a wing to the fuselage. 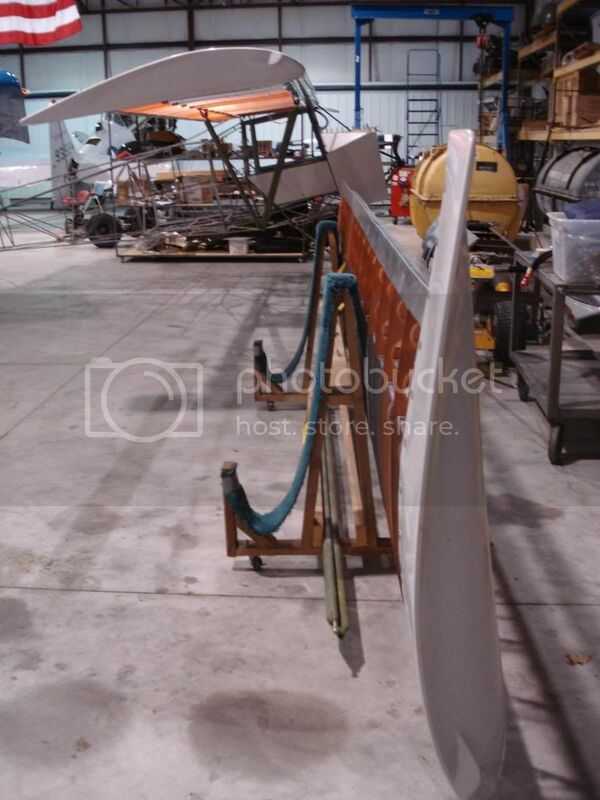 Another view of fitting a wing. 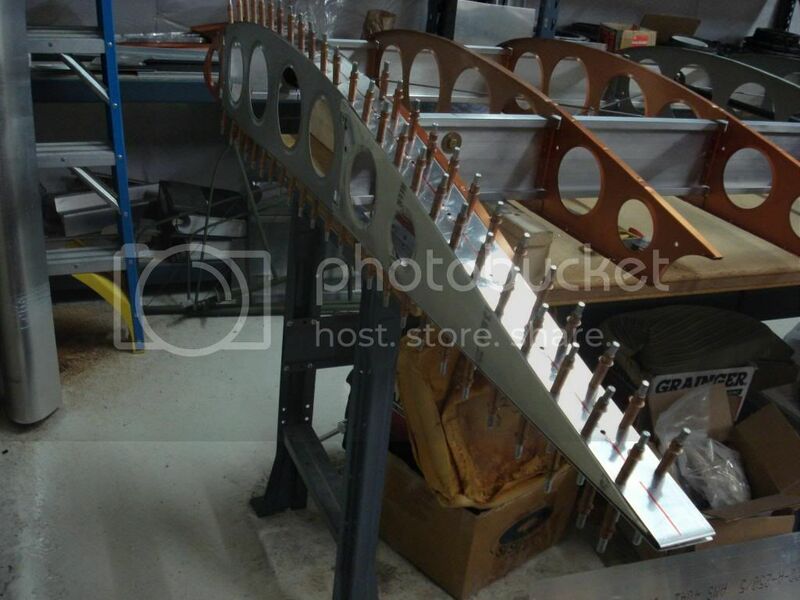 Wing installed to fit flight controls and cables. Here's the new tail feathers we made and installed. The airplane needs more horizontal stabilizer, elevator and rudder. All were changed and made larger. 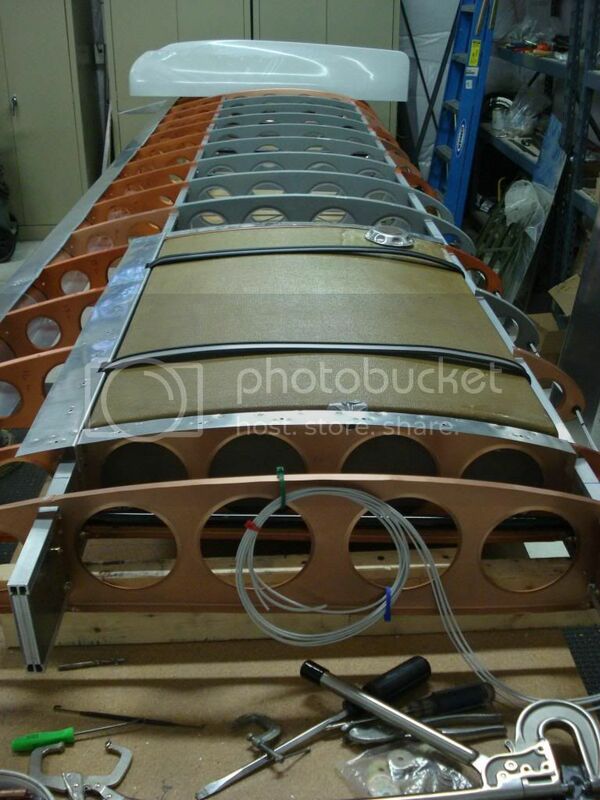 Both wings installed for installation of flight controls and cables. Thanks for looking. More pictures and details coming. I guess I need to use spell check, "moew" should be "more". Oh well. Hi Trackwelder, I checked with the friend of mine and the wings are gone. Not sure of where any others may be currently. 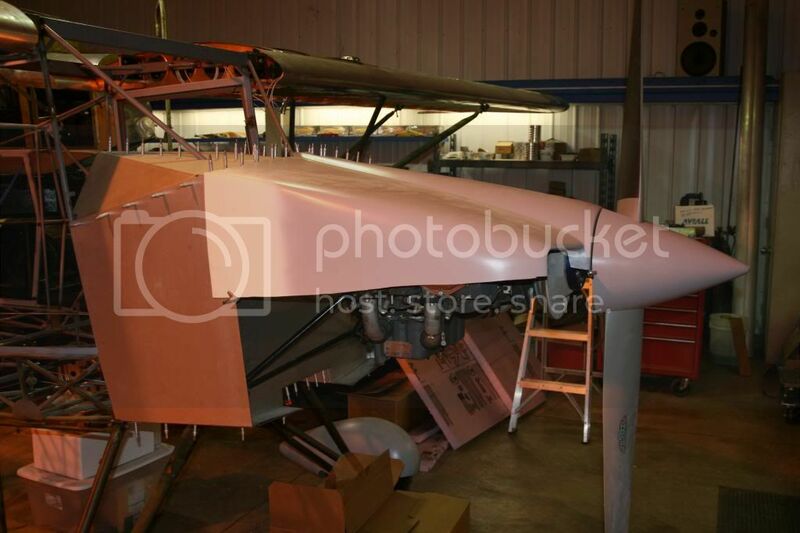 In order to get more forward progress, I've decided to get more of the airplane together. 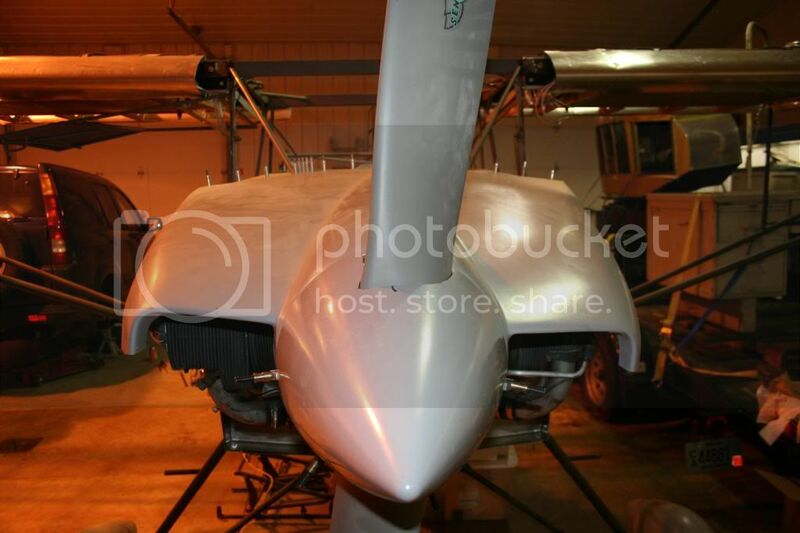 I installed the engine and prop so that the windshield and cowlings could be worked on over the Winter. 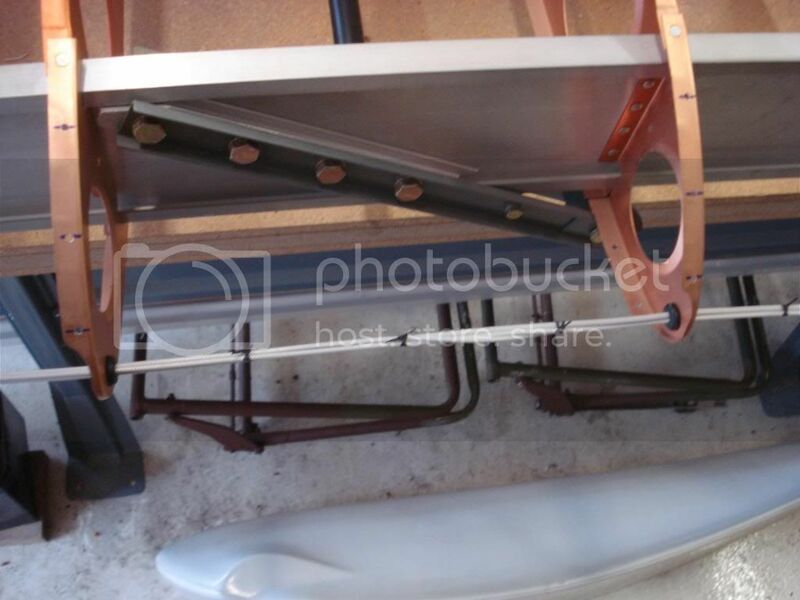 I'm also working on installing the seat tracks for the final time and the clearance issue of headroom to the rear spar is solved. Pictures tonight. I'm on another forum that uses the same system that you are using and here I don't see the edit tab anywhere. I looked for it and don't see it when I'm logged in. Thanks for correcting the typo. On to some more pictures. I don't have any recent actual build photos but some photos showing whats been done so far in the assembly. Here's a picture of the new gear design. Very similiar to the Piper and many others. 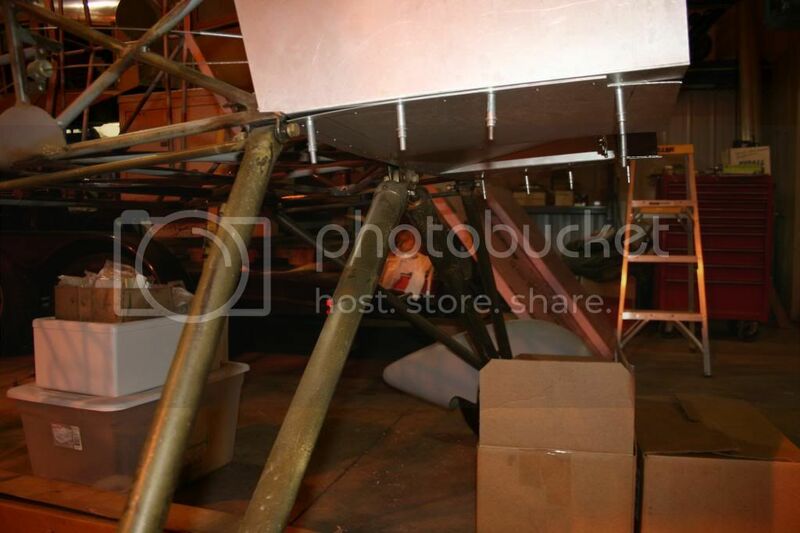 View of the upper attach points and the Bearhawk struts that we changed to from bungees. 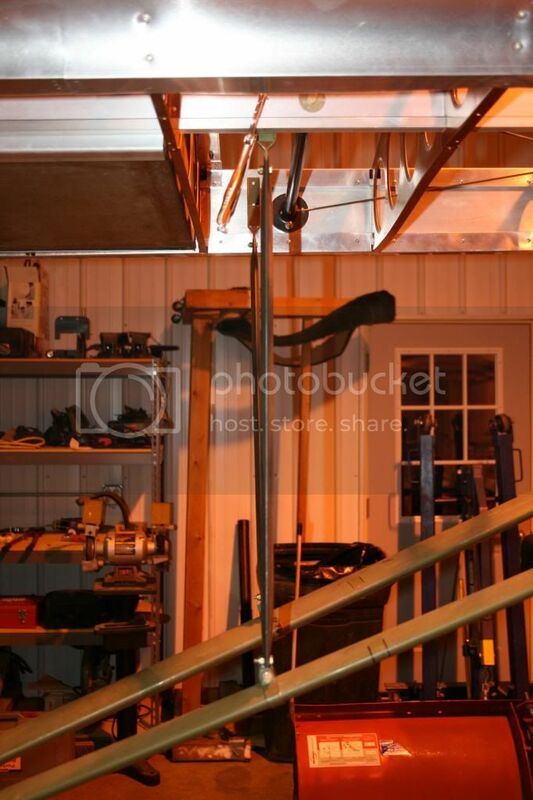 Here's the beam we installed to take the landing loads from the struts. Fitting of the jury struts. 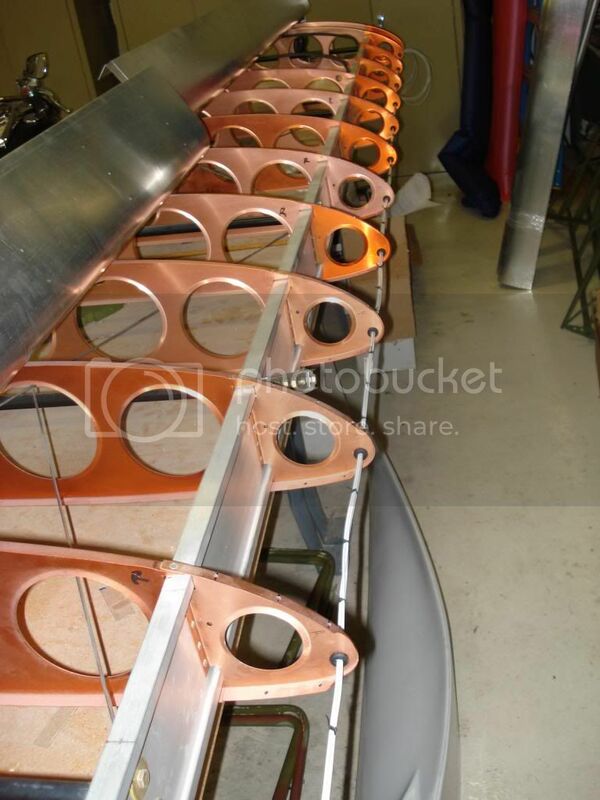 These were done once for the original wings and now doing them again for the D&E Riblett wing. Photo of the instrument panel. Definitely will be done last as the avionics have changed quite a bit since I purchased this kit. 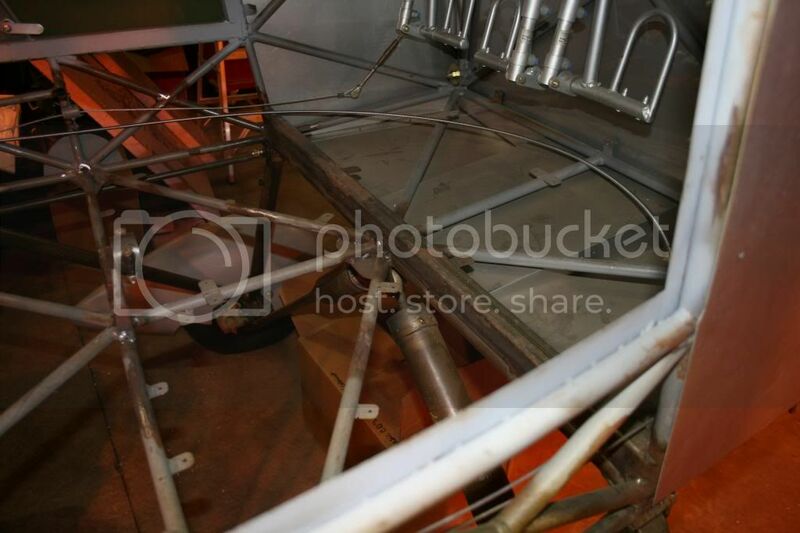 Right side view of the firewall forward going on. The cowling is from a Wittman Tailwind. Head on view of upper cowling and spinnner. Left side view of firewall forward installation. 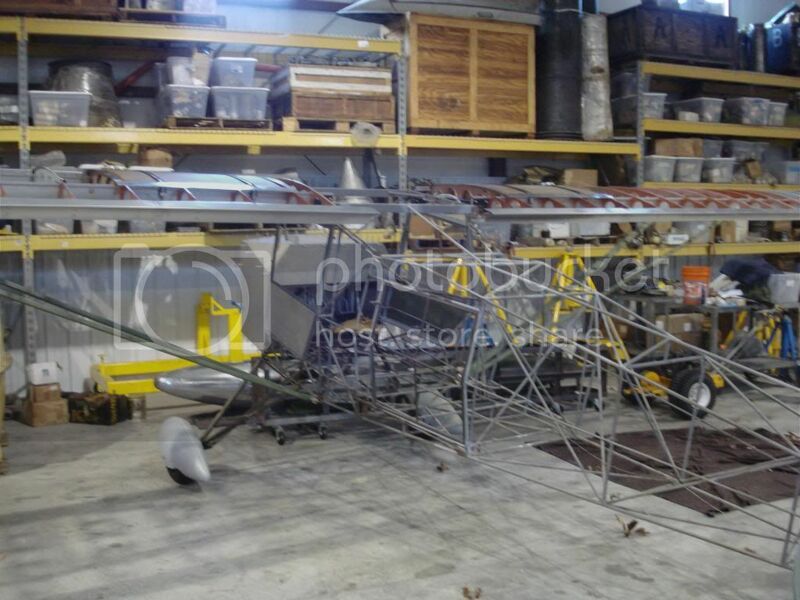 It's starting to look like a real airplane for the first time in a long time. I know what it's worth now. I hardly paid that much for it as I purchased it over 10 years ago. I like your ButtWind too!! Mountain Eagle S/N 2001 is with it's new owner. I'll be working with him to get this project completed. I've also been thinking of getting into the support business for these kits. They're a good airplane with no factory support. It's time to get more of them flying and if support is the main reason why they aren't, then it's time to change that. Contact me at Sabremech at gmail.com for help with your Montana Coyote. Are you going to charge for "Support" ?